Register now for Groundbreak 2019 or subscribe to receive special discounts and the latest speaker announcements. Meet over 3,000 attendees including peers from design, accounting, project, executive, and field teams—with an expected 25% representing top ENR companies. We've asked experts from top companies around the globe to take the stage, tell their stories and share their expertise in teamwork, leadership, and strategies for success. Work alongside over 100 engineers and developers to help us discover new solutions to old problems. You'll have the opportunity to test never-before-seen tools, give your feedback, and submit your own ideas. "When a guy like me walks into the Innovation Lab, and a developer starts writing down verbatim what I'm telling him, that's power." "In 15 years of attending conferences, this is by far the most fun and highest quality conference I have ever attended." "I came away from the conference rejuvenated and encouraged about the future of our industry." 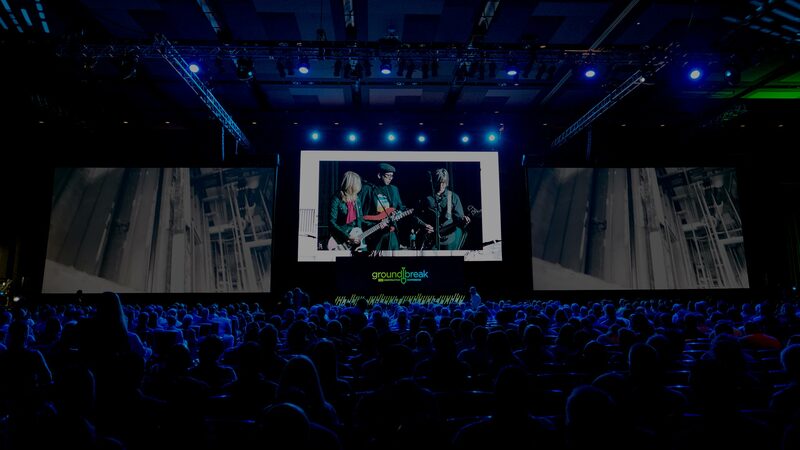 With 80+ educational and thought-provoking sessions, the only Innovation Lab in the industry, and huge celebrity keynotes, you can expect three days of career-boosting, business-building fun. Talk, ideate, and watch developers work on solutions right before your eyes with the entire Procore research and development team. See current product developments, sign up for beta programs, and give feedback. Get inspired by top keynote speakers who share stories of teamwork, leadership, and building a culture of innovation. Hear about Procore's roadmap, and how this will impact the future of construction. Choose from over 80 sessions on topics including leadership, industry trends, diversity & inclusion, integrations, and Procore training. Learn new skills, network, and build your career with sessions for every construction professional. Showcase your brand to over 3,000 of the most influential professionals in construction. Check out all the opportunities available now. Procore's Women in Construction initiative will have a strong presence this year, with sessions on diversity, equity & inclusion, and networking opportunities. Sign up to be the first to get Groundbreak news and updates. Thank you. We'll update you with recent developments.